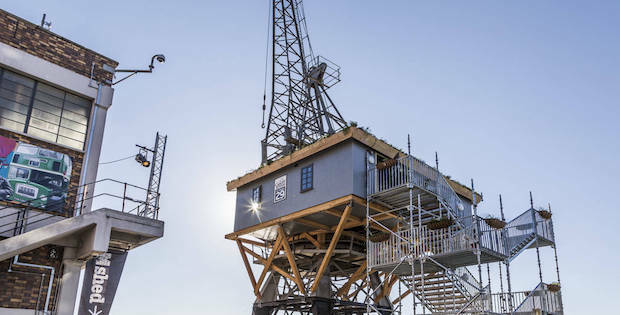 A 1950s cargo crane in the docks of Bristol, England was converted to a crane treehouse. Crane 29 was a pop-up project by holiday specialist Canopy & Stars. Elevated at 26 feet above ground, this harborside “hanging basket” was unfortunately only open for about 100 days. 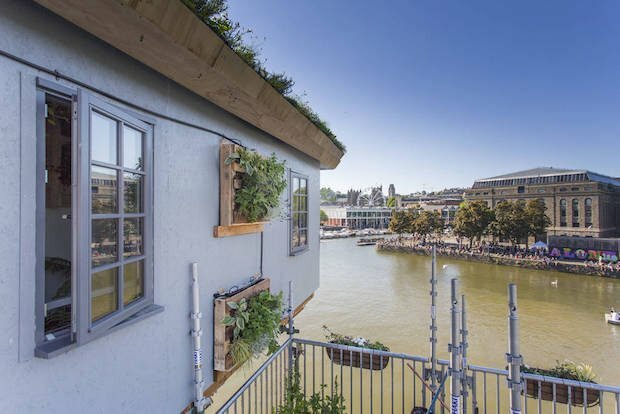 Crane 29 was built sustainably and is a carbon-neutral dwelling. 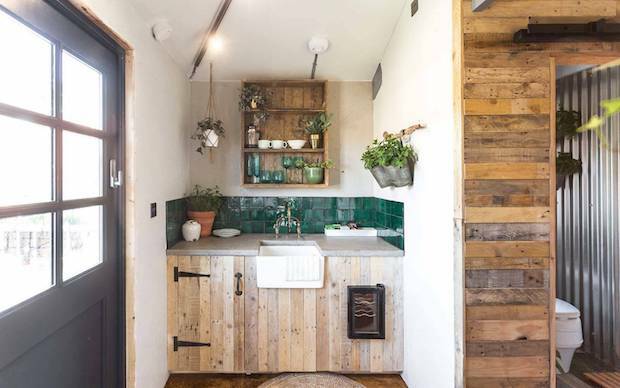 Its interiors were decorated with eco-friendly materials such as vegetable fiber rugs and reclaimed wood. Hundreds of potted plants abound the treehouse giving a space a more natural feel. The experience takes glamping to new heights. Guests sleep in a large double bed and there’s even electricity and a shower (made out of a watering can) in the treehouse. 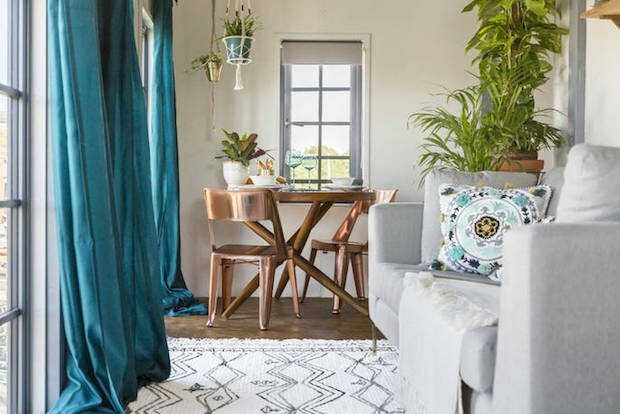 There’s an indoor hammock, tons of potted plants (over 500), and even decor from Anthropologie. When guests wake up the following morning, they are treated to breakfast before they head back to the ground. ..MORE PHOTOS OF THE INTERIORS ON PAGE 2..